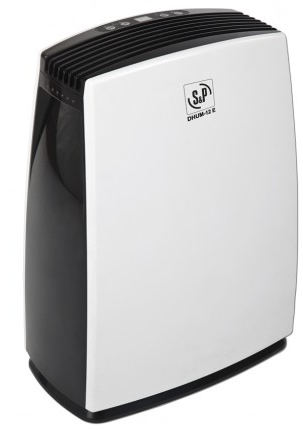 Domestic dehumidifiers that are compact, portable and easy to move and setup. Electronic humidistat, allowing you to select the required level of humidity, and ambient humidity indicator. 2 speeds and 3 operating modes: MANUAL, CONTINUOUS & AUTOMATIC. Automatic mode will select the level of humidity based on the ambient temperature. Programmable 1-24 hour run-on timer. Anti-frost function: activates when the ambient temperature falls below approximately 15ºC. Automatic reset in the event of a power cut. Automatic shut-off function: activates when the water tank is full.